According to the World Health Organisation, more than one quarter of road traffic fatalities in 2010 were pedestrians and cyclists. Every year, about 335,000 unprotected road users die because of traffic accidents, which shows the scale of the problem. The EU project Prospect intends to reduce the number of cyclists and pedestrians who are killed or injured by developing active safety systems. Recent decades have seen success when it comes to safety work for pedestrians, as a result of video and radar technology. A first generation of active safety systems has been introduced in cars, automatically recognising and braking for pedestrians. The Prospect project involves the development and improvement of these systems to make them more effective. The aim was to achieve a greater understanding of accidents relating to unprotected road users and to develop, demonstrate and test active safety systems. 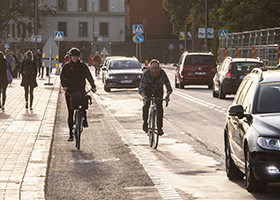 “In the project, we’ve identified a number of scenarios that could occur with unprotected road users, to make sure that these are covered in the systems. We’ve also been working to develop more robust systems that are more proactive and identify risks of accidents at an earlier stage in order to avoid collisions,” says Niklas Strand, researcher at the Swedish National Road and Transport Research Institute (VTI). During the spring, VTI conducted a large number of simulations with volunteer test subjects in order to acquire more knowledge of how driver behaviour is affected by interventions from active safety systems, and also of their acceptance of and confidence in the safety systems. “VTI is responsible for collating the simulator-based tests in the project and for conducting a simulator study involving a critical cyclist scenario. 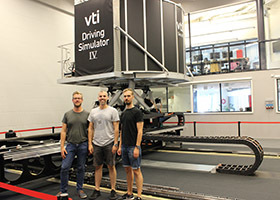 More than 100 people took the tests in VTI’s driving simulator in Gothenburg, making the study VTI’s biggest-ever driving simulator study,” says Niklas Strand. The idea was that the project should cover the whole spectrum, from accident analyses in several countries, naturalistic observations, modelling and situational analyses, to interfaces, test equipment, function tests, user acceptance and benefit evaluation. Project participants from the automotive industry produced vehicles to demonstrate the technology of the future in various ways, and Audi developed a mobile driving simulator. The project has also developed a realistic cycle demonstrator, a moving target that can be used on test tracks. The project has also conducted tests in actual traffic and acceptance studies among users. “On 12 October we’ll be having a final demonstration at Idiada in Spain, where the demonstrators will be presented together with other project results. The final event is a joint one with some other EU projects, such as InDeV and Xcycle,” says Niklas Strand. The consortium consists of car manufacturers that use driver support systems (Audi, BMW, DAIMLER, TME and Volvo Cars), and they have contributed their latest concepts. Other partners are BOSCH, UoA, DAIMLER and IFSTTAR. Euro NCAP test labs (IDIADA, BAST, TNO) defined and validated the tests. Accident research was conducted by Chalmers, VTI and BME. The work was carried out in collaboration with experts in Japan (JARI, NTSEL) and the USA (VTTI, UMTRI, NHTSA). The project started in spring 2015 and will be completed in October 2018. 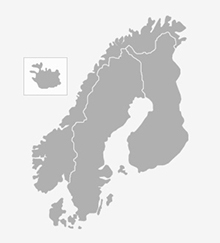 The budget for the project was around SEK 70 million, of which VTI received approximately SEK 1.6 million. This entry was posted in Cycling, Safety, Vehicles and tagged active safety systems, ADAS, cyclists, pedestrians, Prospect. Bookmark the permalink.